Share our passion for wood burning stoves. 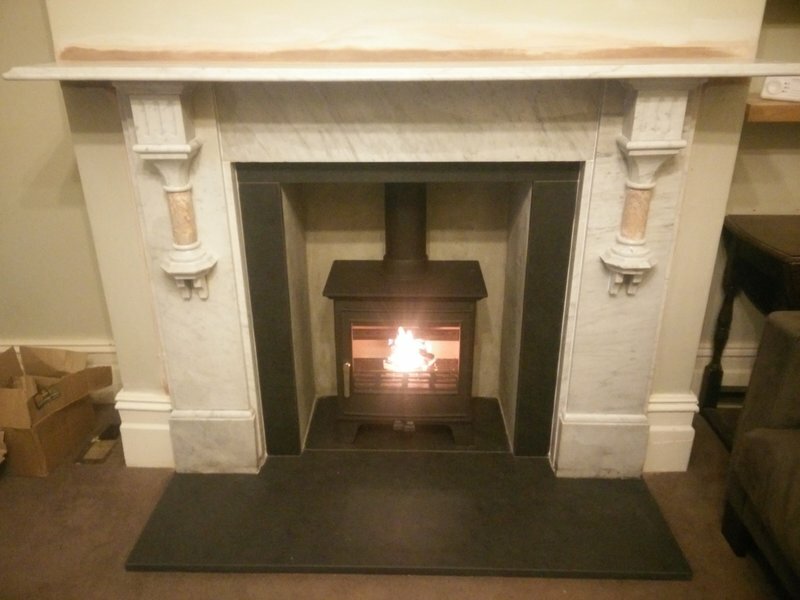 Based in Bristol and servicing a wide area – including Bath – we supply and install a selective range of wood burning stoves including DEFRA approved and EcoDesign Ready models for use in smoke control zones such as Bristol and Bath. We also design and implement vented heating systems using solid fuel boiler stoves, thermal stores and link-up systems. We do all the plumbing work ourselves from simply moving or replacing a radiator to complete central heating system installations. We carry out all the building work required for your installation including plastering, brickwork and flooring. 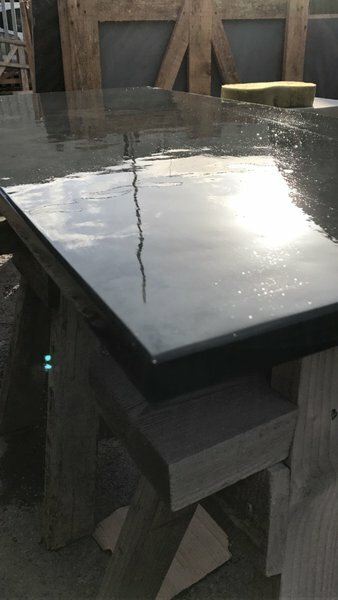 We also manufacture slate hearths at our workshop in St Werburghs, Bristol. After some beautiful slate flooring or outside patio slabs? For more information or to make an appointment please get in touch. The Heart Woodburners team did a fab job on our stove - and are a great bunch of people as well. Prompt, friendly and kept everything super tidy whilst here. Will offered loads of advice to solve our problem and explained every step of the work in detail so we were really clear on our decisions. Would highly recommend. 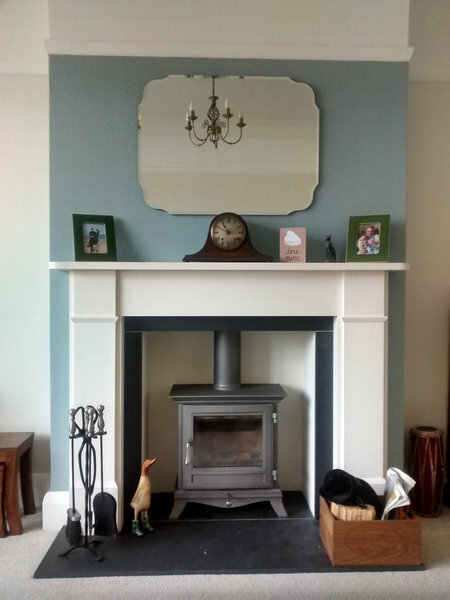 Will and his team did a fantastic job on our fireplace, as well as re-skimming the whole room and moving a radiator. He was quick to respond, talked through the job explaining what needed doing and gave an accurate and competitive quote. The work is an excellent standard and they went overboard to keep the place clean and tidy. A friendly, local and reliable company. Thanks! Very pleased with our new stove, Will and the team did a great job. Honest and friendly. Fully recommended. Warmly recommend Will and his team. Installing a woodburner was part of our extension project. Will has visited the site three times before the actual installation, listened to us and gave good advice on the various options. He was professional, yet very flexible. He has a lovely team and high standards. Will and the team took out my old fireplace, re-plastered the area and installed the burner within three days, all completed with great friendliness and minimal dust. The burner makes a terrific difference to the house and I now wish I had got Will in earlier! A terrific job and at a good price. Highly recommended. Perfect Finish to my home! Will was thorough in his quote and fair with the price. He was happy to provide advice on the stove and was realistic about what was possible with my home. 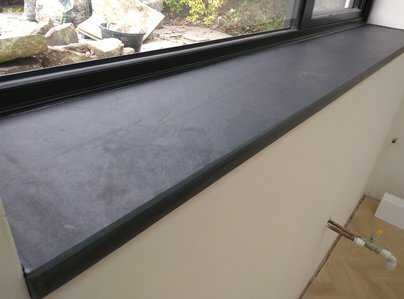 The builders were clean, tidy and considerate and the finish was perfect! Will was quick to resolve a slight crack in the glass of the stove that was as a result of a manufacture fault. The end result is brilliant! 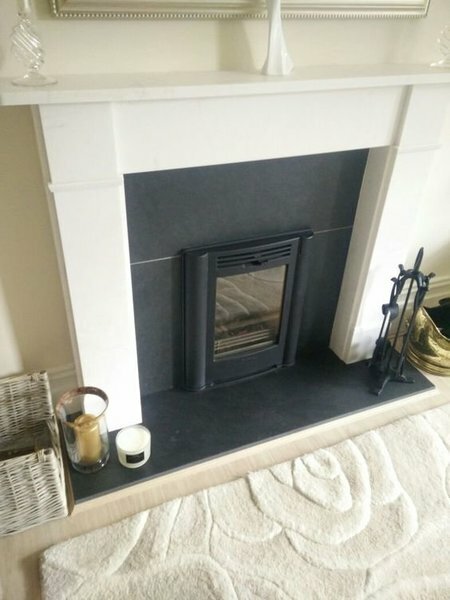 Will gave us excellent advice on the types and ranges of wood burner, surround, flue, building work and chimney installation. He allowed us to come to his building yard to choose a piece of oak to go above the wood burner and slate for the hearth. He gave us a fair quote and the final price was not changed. During the work all the floors were protected and the builders were very clean and respectful. Most importantly the final result looked great and was a great addition to the home. 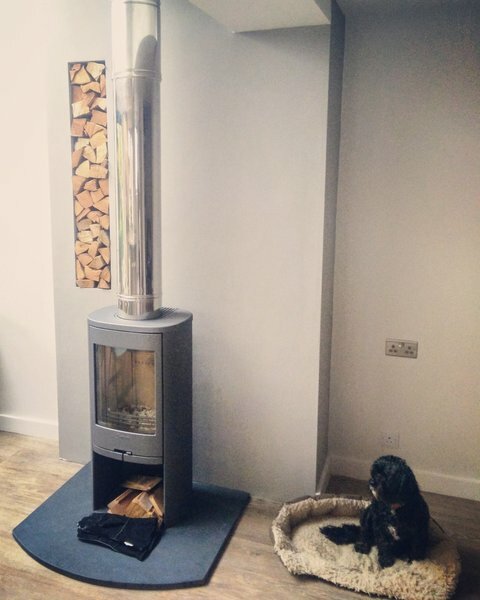 We contracted Heart Woodburners to install a log burner in our front room. Throughout the process Will and his team were friendly, helpful and professional and a pleasure to deal with. The work was complicated by some additional, unforeseen building work to the chimney breast but this did not phase Al who was the lead builder and installer on our project. Throughout the construction process we were kept informed of progress and given options to choose from where these presented themselves, ensuring that we received the end result we wanted. Will's team were pleasant house guests for the 4 days that the work took. They were polite and communicative and did a great job tidying up at the end. Heart Woodburners were recommended to me through a family member and I couldn't fault them, would definitely use again and recommend to any family member or friend needing similar work done. Will has overseen the installation of 2 logburners in my house. This work went smoothly.